Apple iPad 4th Gen. 64GB, Wi-Fi, 9.7in - Black. iPad 4th Gen- 64GB- Wi-Fi. 64GB Wi-Fi. Apple iPad 4th Generation. Colour - Black. 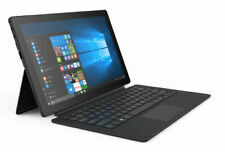 Linx 12X64 -12.5" Full HD 2 in 1 Laptop Tablet with Keyboard, 4GB RAM, 64GB eMMC. 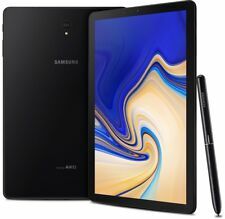 Samsung Tab S4 T535 Black 64GB Unlocked. 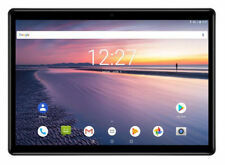 ABOUT THE TABLET. The tablet is in grade A condition. The device has been fully tested and is in perfect working order. Unlocked to any network. Apple iPad 4th Generation. The iPad is in good working order. Ship from UK with 2 Days Handling & Fast Delivery ! Apple iPad 4th Gen. 64GB, Wi-Fi Cellular (Unlocked), 9.7in - Black. Excellent condition, great battery life, in original box with all original accessories. Model No A1455, for more info. refer to Macworld web site. WiFi 3G Cellular Unlocked to work with any network. Apple iPad Mini 1st Gen 64GB. Wi-Fi and 3G Cellular Unlocked and works with any Network. APPLE IPAD 1ST GENERATION 64GB WIFI. Only tested using WiFi, not checked cellular service. NO RESERVE! Network: Unlocked. Apple iPad mini 4 64GB, Wi-Fi Cellular (Unlocked), 7.9in - Space Grey READ (#223260075610). View ItemApple iPad mini 4 64GB, Wi-Fi Cellular (Unlocked), 7.9in - Space Grey READ . All iPad's are fully tested and in perfect working order. Need an Apple box for a gift etc?. Link below. Overall I'd say Grade A/B (Good Condition). - FREE stylus pen. 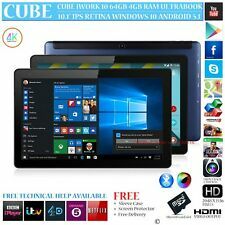 FREE 12 Month Warranty. Note Saver & Real Pen Stylus With Real Ink – the New, Natural Way to Take Notes. Write in ink on paper with the Real Pen, and let the Yoga Book seamlessly digitize your notes. Use the included Book Pad clipboard to magnetize your papers and easily keep them in place. 1 x Playbook Cover. 2 x 64GB Blackberry Playbooks. They are in good condition but as they haven’t been used for a good while the battery doesn’t last very long so. 1 x USB Power Adaptors. Wireless USB Wifi Dongle Antenna For Zgemma VU MAG 250,254,255,260,270 AURA HD. Bluetooth Keyboard Tablet Cover Case Stand for Samsung Galaxy Tab A6 T580 T585. 1080P VGA to HDMI Converter Audio USB Cable Adapter For Laptop PC DVD HD TV UK. IPad 2 64gb black. iPad is in perfect condition with no scratches or cracks. I t is in used very good condition. Apple iPad mini 1st Gen. 64GB, Wi-Fi, 7.9in - Black & Slate. GOOD CONDITION, GRADE B, WORKS PERFECTLY. Grade B Condition, working perfectly. BlackBerry PlayBook 64GB,. Condition is Used. No charger , I put some power in it with my phone charger , displayed software update , seems to have updated ??? Very clean body , good clean screen can see a small hair line scratches as shown , sold as you see , parts or refurbish , age ?? Updates require??? Dispatched with Royal Mail Signed For® 2nd Class. 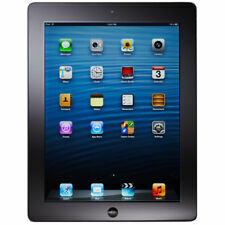 Apple iPad 2 64GB, Wi-Fi, 9.7in - Black Plus Charging Lead. Has been reset to factory settings, so ready fir new owner to set up. Condition is used, but other than a small indentation on a corner (see pic), the item is in mint condition having been in a case for the majority of its life. Geniune Apple iPad 2 2nd Generation 64GB WiFi + 3G Black *VGWC! * + Warranty!